Farm consultant Ken Sharpe has been researching the impacts of soil organic matter (SOM) on cereal yields for the past three years. From his investigations he has developed some key management points that seem to cover what is seen in the field and most importantly gives farmers some guidelines to improving crop yields. 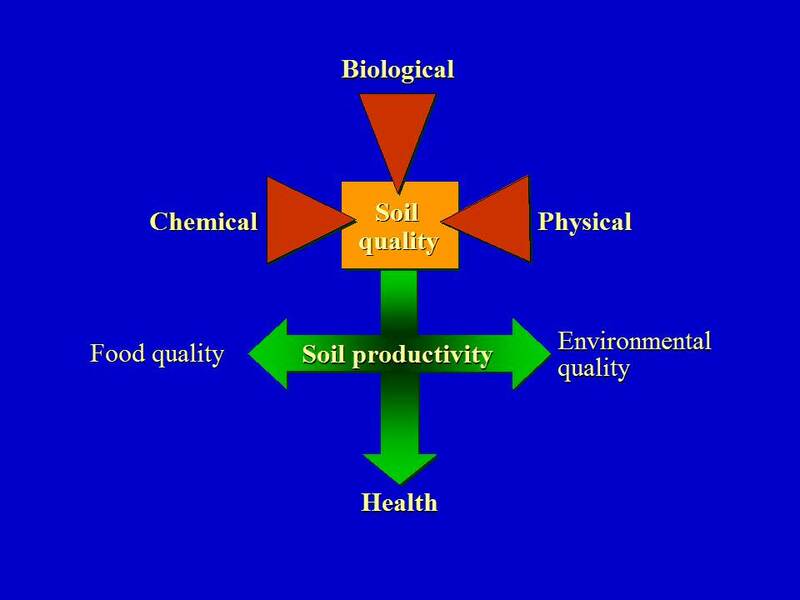 Maintaining a source of labile carbon throughout the year has multiple benefits for soil health. “To me there were revelations in understanding what was being observed. To then explain the key essence of what is happening proved to be both very simple and obvious in concept. We only need to look to nature and previous farming techniques to see this in action,” Sharpe says. * Increased water holding capacity, 1% SOM = 14mm water. * Increased plant nutrient availability. * Labile carbon content feeds microbes to solubilise soil bound nutrients. The focus on soil carbon should be on labile fraction. * Increasing labile soil carbon reduces the plant allocation of labile carbon to the rhizosphere. * Low C:N ratio encourages dominate populations of non-symbiotic nitrogen fixing bacteria. Focus on the labile carbon fraction gives a greater correlation with crop yield responses. Organic matter increases nutrient availability to crops above the nutrient content of the OM. Most probably due to microbial feeding. In soils with high labile carbon (>2%) microbial feeding results in multiple points of acidification that solubilise soil bound nutrients and especially phosphorus. These nutrients (P) are then available for plant root uptake. Plants have been measured to exude labile carbon into the rhizosphere of the root zone. These exudates have been measured at 5-58% and higher. Labile Carbon exudates are sacrificed to the rhizosphere where microbial feeding acidifies multiple points in the soil to solubilise soil bound nutrients; especially Phosphorus. The leap of faith as an observer rather than a researcher is that the significant range of labile carbon allocated by the plant to the rhizosphere is likely correlated with the Labile Soil Carbon. By raising the LC in the soil the plant will allocate less LC to the rhizosphere with a resultant increase in plant dry matter production. Compost and organic matter fertilisers are measured on the nutrient content. Results of applying OM are often explained as increasing NPKS supply. Closer inspection would suggest that the increased nutrients are not only contained in the OM but that the Labile Carbon is feeding the soil biology to release soil bound nutrients. Where labile carbon is introduced to the farming system with a low C:N ratio it appears that populations of non-symbiotic nitrogen fixing bacteria dominate consumption of the labile carbon feed resource. 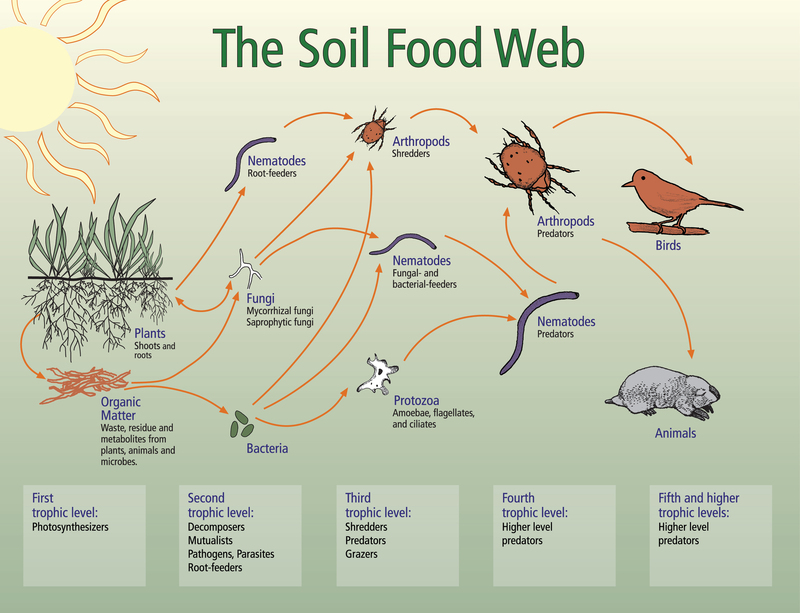 These organisms bring atmospheric N into the crop system. Where the OM source has a high C:N ratio the labile carbon is consumed by microbes that also consume N. This release of soil P is therefore more expensive. Grasses have the greatest root bulk and number of growing tips and will be most successful at searching for soil bound phosphorus. It would appear that 2% LSC will maximise phosphorus scavenging by plants. Legumes have less root bulk and tips and will require a higher available soil P to produce or a greater amount of labile carbon; 2.5%? It would follow that soils with low LC and low available P will be limited to grass crops. Where crops are grown with low labile carbon higher rates of fertiliser P are necessary to super-drive the plant metabolism and achieve expected yields. P exports in crop yield stay the same but greater rates of P fertiliser must be used. Raising LSC will reduce P fertiliser requirements per tonne of grain harvested. Some crops such as Fodder Beet have minimal roots mass and tips and grow best in very high organic soils or with very high P fertiliser. I am encouraging farmers to ask for Total soil P with soil tests. The range of background phosphorus and LSC levels are helping to explain production variations. The move to DGT phosphorus test is unproven (and currently is not available commercially). I am encouraging farmers to take labile carbon tests as this is the important fraction that will effect production. pH6 (in CaCl2) should be achieved to maximise nutrient phosphorus availability and maximise biological efficiency. (One of the unrecognised costs to farmers with acidic soil is the limited range of crops able to be grown). In sandy soils microbial efficiency may not be possible but the use of VAM will still be responsive to labile carbon as the building block of life. The option to apply VAM is now available. Labile Carbon should be a major management factor in crop nutrition that is just as important as elemental fertiliser nutrients. Perennial grasses will build soil carbon. Stubbles should be incorporated on a strategic basis to achieve a soil carbon level. Green manure crops should also be used strategically to raise labile carbon. Organic carbon levels are able to be maintained in cold climates where biological activity is more seasonal. Generally these soils are also highly acidic which slows OM decomposition. It is difficult to raise Labile Carbon levels in Australian cropping areas not because of low rainfall but because of high average temperatures. The Australian farming system may find that it cannot maintain and raise labile carbon levels but it should aim to use them on a yearly cycle. Microbes consuming labile carbon through the soil profile will solubilise nutrients (P) for the following crop.